The Future of Email: Is Your Email Truly Free, Private and Secure? by V.A. 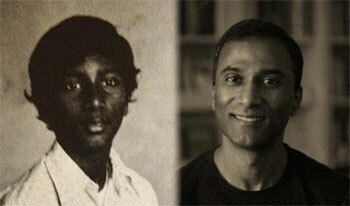 Shiva Ayyadurai, Ph.D. 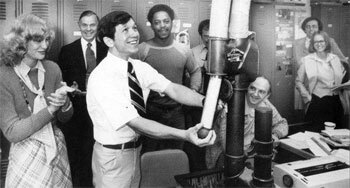 In 1978, I invented something that I named “email” at the University of Medicine and Dentistry of New Jersey (UMDNJ), located in Newark, NJ. 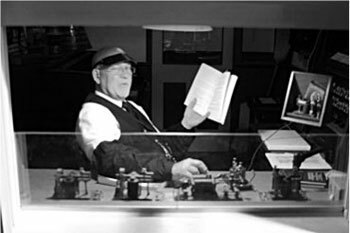 That something was the electronic version of the interoffice mail system. 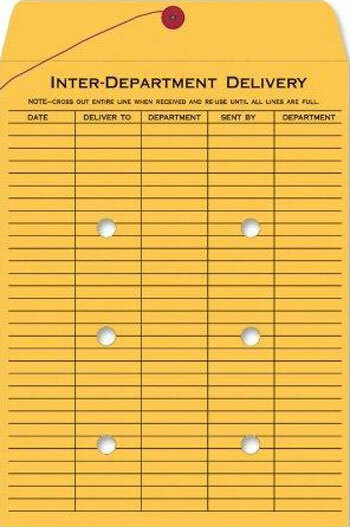 For those 20 something’s the interoffice mail system was the “email” before email. The interoffice mail system consisted of all of the features and functions you see today in your email programs: Inbox, the Memo (To, From, Date, Subject, Cc, Bcc), Outbox, Address Book, Trash, Folders, Attachments, Return Receipt, and more. 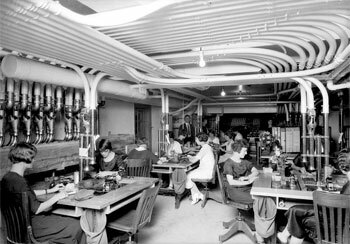 The big difference was this was a physical system used to process the memo and its attachments. 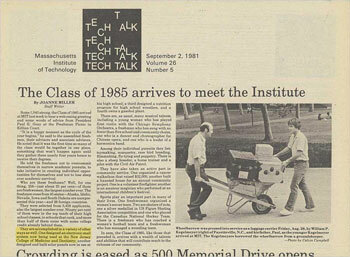 MIT Tech Talk (1981) highlights email invention. Some 1,040 strong, the Class of 1985 arrived at MIT last week to hear a welcoming greeting and some words of advice from President Paul E. Gray at the Freshman Picnic in Killian Court. "It is a happy moment as the cycle of the year begins," he said to the assembled freshmen, their advisors and associate advisors. He noted that it was the first time so many of the class would be together in one place, something that won't happen again until they gather there nearly four years hence to receive their degrees. He told the freshmen not to overcommit themselves in narrow academic pursuits, to take initiative in creating individual opportunities for themselves and not to lose sleep over academic survival. Who are these freshmen? Well, for one thing, 258 -- just about 25 percent -- of them are freshwomen, the largest number ever. The freshmen come from 45 states -- Alaska, Idaho, Nevada, Iowa and South Dakota are unrepresented this year -- and 26 foreign countries. They were selected from 5,458 applicants, also the largest number ever. Ninety per cent of them were in the top tenth of their high school classes, in schools that rank, and more than half of them enter with some college credit already behind them. They are accomplished in a variety of other ways as well. 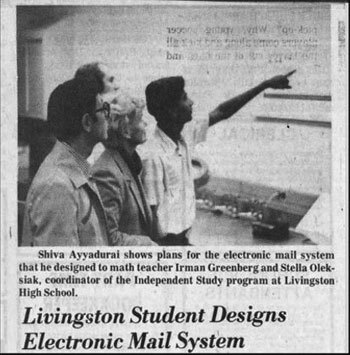 One designed an electronic mail system now being used at the New Jersey College of Medicine and Dentistry; another designed and built solar panels now in use at his high school; a third designed a nutrition program for high school wrestlers, and a fourth owns a gasohol plant. 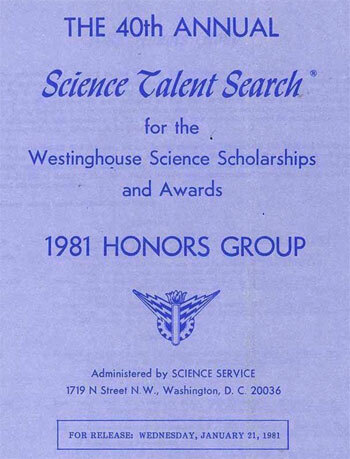 There are, as usual, many musical talents, including a young woman who has played first violin with the Chicago Symphony Orchestra, a freshman who has sung with no fewer than five school and community choirs, one who is a dancer and choreographer for Chinese opera, and one who is a leader of a harmonica band. Among their individual pursuits they list: toymaking, marquetry, rare bird breeding, filmmaking, fly-tying and puppetry. There is also a sheep breeder, a horse trainer and a pilot with the Civil Air Patrol. They have also taken an active part in community service. One organized a cancer walkathon that raised $32,000; another built a haunted house for an annual community project. One is a volunteer firefighter; another is an amateur magician who performed at an international children's festival. Sports play an important part in many of their lives. One freshwoman organized a women's soccer team. Two are skaters of note, one a silver medallist in US Figure Skating Association competition and one who played for the Canadian National Hockey Team. There is a freshman who has coached a women's football team and a freshwoman who has managed a wrestling team. In sum, the Class of 1985, like those that preceded it, arrives with a wealth of talents and abilities that will contribute much to the richness of our community. But, right from the beginning, I was told that email did not have a future. I remember one of the doctors at UMDNJ telling me, “What’s wrong with paper memos? They are so easy to send. This email thing isn’t going to go anywhere.” He was in his late 50’s and I was just this 14-year-old kid. What did I know? So, I listened I knew there were others like him: the secretaries, staff and students at UMDNJ, who probably had similar concerns. I wanted to find what I would have to do, so they would start using email. First, I had to give them all the features of the paper-based interoffice mail system they were accustomed to: “Inbox”, “Outbox”, “Folders”, “the Memo”, “Carbon Copies”, “Address Book”, “Attachments”, “Groups”, “Trash”, etc. as well as the functions they did such as “Compose”, “Edit”, “Sort”, “Return Receipt”, “Prioritize”, etc. --- all in all about a hundred different features and functions. Second, I had better make email really easy-to-use. This meant all those features had to delivered through an easy-to-use user interface. At that time there was no mouse, just a keyboard. An easy-to-use interface meant simple menus, no need to type in commands or codes, ease of navigation, ability to quickly scan their incoming mail, etc. Building these three elements became my passion. My work seemed to pay off. 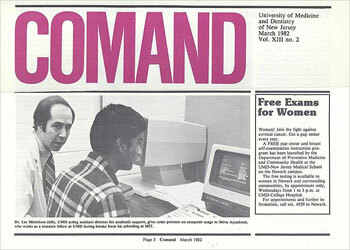 The UMDNJ community began to adopt email, the electronic interoffice mail system, and the name “email” began to the spread across UMDNJ and beyond. 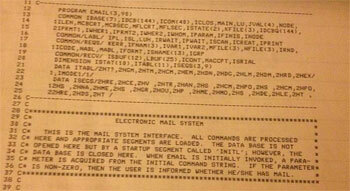 In 1982, I received the first Copyright for Email from the US Government. I remember when I first came to MIT, The Tech, MIT’s official newspaper, had a front page article, mentioning the achievements of three of the 1,041 incoming students. 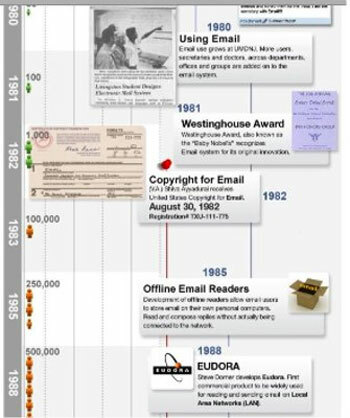 The invention of email was one of the three achievements that were highlighted. 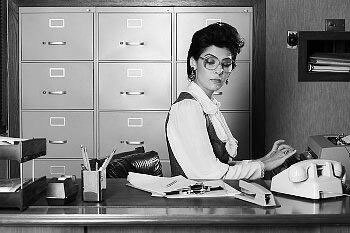 During 1982 to 1993, email’s usage grew primarily in the business office environment, because that it where it originated. During this time, the number of email users was on the order of hundreds of thousands to several million users. But, even during this growth, experts predicted email’s death. They said that the FAX would destroy email. While, other said the Telegram was email’s killer. Neither of these predictions came true; in fact, quite the opposite took place. Today, the Telegram has died completely and the FAX is used minimally. In 1993, the World Wide Web (WWW) was released. The WWW, with its easy-to-use graphical user interface, made the Internet accessible to masses of worldwide consumers. The WWW transformed email’s user base from office workers to ordinary consumers. 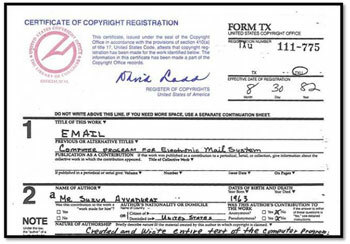 Web-based email programs such as HotMail, Yahoo and Gmail emerged. These programs inspired an explosive growth in email’s adoption. After 1993, email users jumped to hundreds of millions of users. But, the experts continued their mantra “email is dead”. In the 1990s and early 2000s, a new breed of “experts” began to point to Instant Messaging (IM), Chat, and On-line Discussion Boards, as the next killers of email. In spite of such predictions, email users climbed to the billions. The experts were relentless, and continued their erroneous predictions. In the mid-2000s and 2010s, other obituary statements for email were issued stating that Texting on smart phones; and social media, such as FaceBook and Twitter, were going to kill email. All of them have proved wrong. The “experts” simply do not understand the fundamentals of email, and keep confusing email with other media: chat, on-line bulletin boards, texting, instant messaging, blogs, etc. Every time a new media comes along, their eulogies for email begin. But, when one truly looks at the origin of email: the interoffice mail system, which was the engine of communications for businesses, it becomes clear, that as long businesses, big and small, are around, email will be here for a long, long time. Okay, If Email Is Here to Stay, What Should We Really Be Concerned About? A more legitimate discussion on email, therefore, is not whether it is going to be here or not, but this: IS EMAIL GOING TO BE TRULY FREE? By free, I do not mean will it be free from a cost standpoint. I mean, will our freedoms such as security and privacy, be protected? Billions of email messages are transacted each day, and the numbers are growing exponentially. However, nearly all of our email is not private. Private companies, and their employees can access your email, and you may never know it. When you signed up that "free" email service, for example, you implicitly traded your rights to privacy for that free service. At any point, your free email service provider can shut you down or sell you out, and there goes our “free-dom”. Consider the Arab Spring revolution in Egypt. At one point, when the revolutionary movement began to escalate, the Mubarak government was able to shut down all electronic communications by collaborating with Vodafone, a private company whose only accountability was to its shareholders. The Founding Fathers of the United States established various mechanisms to ensure the spirit of the Declaration of Independence could be exercised through a viable, dynamic and revolutionary democracy. To enable such freedom, they created institutions to ensure that each citizen could transact communications, privately, without even government intervention and tampering. 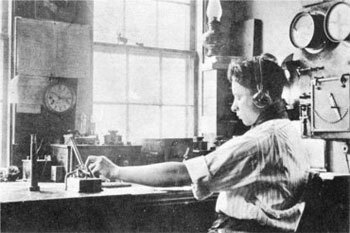 The United States Postal Service (USPS), for example, was one such mechanism. The USPS was created during the birth of America to ensure such democratic rights. In particular, the USPS made it possible for any citizen to send a piece of mail to another, for an affordable cost, and such mail was secured by laws, so that mail would not be opened or violated. For this purpose, the USPS set up an internal policing mechanism, the USPS Office of Inspector General (OIG). The OIG is the “police force” which regularly audits postal facilities and makes it a Federal crime if anyone, including a government worker, tampers with a citizen’s mail. Over the years, the USPS has been under attack. 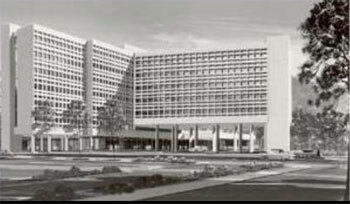 Bit by bit, parts of the USPS have been gutted, the best parts of it privatized, and what now remains are its spoils. And, as the USPS has been attacked and destroyed, the volume of email has grown explosively, overtaking postal mail starting in 1997. When you sent postal mail via the USPS, it was YOUR mail. But when you send email via these free services it is NOT YOUR email. 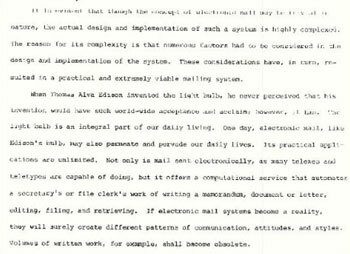 When email over took postal mail volume in 1997, the USPS should have embraced email and provided the same infrastructure of postal mail services in electronic form, and renewed itself and its deteriorating situation. 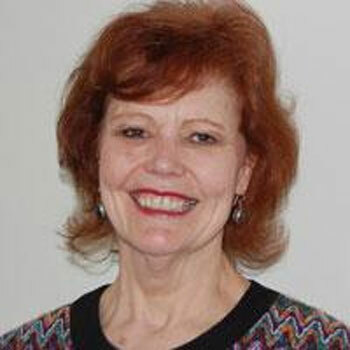 That reminded me of that doctor at UMDNJ who also didn’t see a need for email. Right now, when it comes to email, private enterprises control email transactions. As an entrepreneur, I am not against private enterprise; however, the fact that consumers have no alternative to protect and enforce their email security and privacy is disturbing. As we work in the digital world, our freedom through email communications, when we use those “free” services, simply do not exist. So, I stand by my 1997 recommendations to the USPS: they must embrace email and offer email as a public utility, like the government provides the highway and water systems. Moreover, it provides them a new source of revenue and a way to keep an important democratic institution alive and not go bankrupt, their current trajectory. I am sure many Americans will be willing to pay some nominal fee to know that their email is not being read, is totally secure, and cannot be shut down, like Vodafone did to those fighting for their freedom in Tahrir Square. In 1978, there was never any intent on my part to make money or seek fame from inventing email. 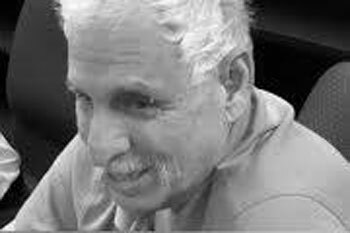 For me, the incredible feeling of accomplishment in not just inventing email, but seeing its impact on the daily lives of actual workers at UMDNJ, was something beyond description. As the inventor of email, my appeal is for citizens, across the world, to boldly proclaim their rights to free and open communication and demand that their public institutions, created to protect our rights and access to a democratic systems of communication, get their priorities clear: deliver email that is truly FREE. About Dr. V.A. 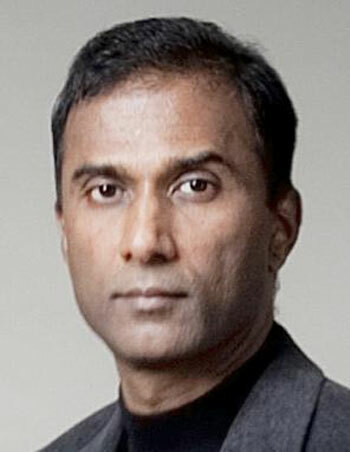 Shiva Ayyadurai, Ph.D.
Dr. V.A. 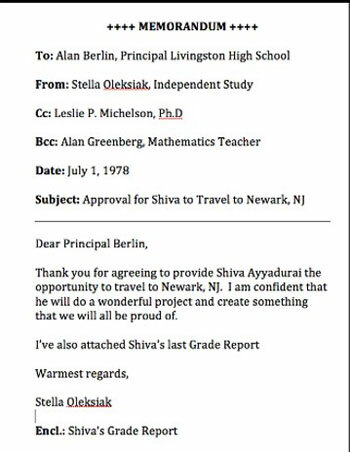 Shiva Ayyadurai, Ph.DDr. V.A. 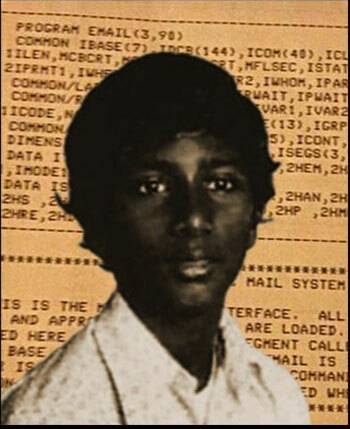 Shiva Ayyadurai, Ph.D., the Inventor of Email, holds four degrees from MIT, is a Fulbright Scholar, Westinghouse Science Talent Search Honors Awards Winner, Lemelson-MIT Finalist, and the First Outstanding Scientist/Technologist of Indian Origin. He is the founder of Innovation Corps, a 501 (c) (3) non-profit initiative dedicated to identifying, sponsoring and mentoring, youth between he ages of 14-18, to innovate and convert ideas to tangible ventures. Dr. Ayyadurai has successfully started and grown seven start-up ventures across the fields of media, information technology and medicine. 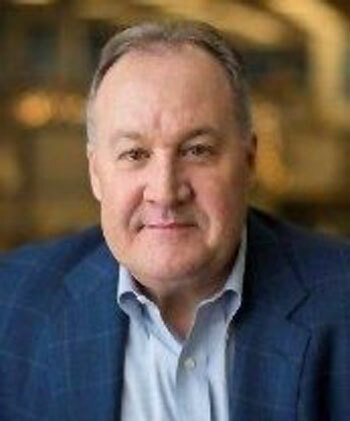 He serves as the Managing Director of General Interactive, an innovation incubator, and is currently the Chairman & CEO of CytoSolve, Inc., a company that has developed a revolutionary platform for the in silico development of multi-combination therapeutics. 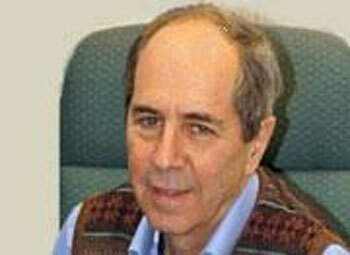 In addition, he has founded Systems Health, an educational company that provides an integrative educational program for eastern and western systems of medicine. As a systems scientist and systems biology, he continues to publish in scholarly peer-reviewed journals and is a sought-after public speaker on innovation, systems and medicine. His most recent book The Email Revolution has received wide acclaim, and he is in the midst of completing his next book Systems Health: The Future of Medicine.